Screening is the process by which granulated ore material gets separated into different grades of particle size. In other words, it’s a mechanical process that stratifies (divides) particles according to a required size. Once particles have been divided, the screening surface opening then accepts or rejects the particles. A “Screen” can be simply defined as a machine with surfaces that are used to classify materials by size. For example - In a mining process, a screening plant is a type of machine used to extract ores from the ground using water and sedimentation processing. Screeners are designed to provide high-capacities, in various industries ensuring optimum productivity of your production process at a low maintenance cost. As explained above, the most common application of a screen is to separate a conglomerate of materials into different size fractions. Other popular uses of screens are dewatering, scalping, dedusting, and washing. Screeners form an essential stage of any mechanical process and are used in a range of industries including mining and mineral processing, agriculture, pharmaceutical, food, plastics, and recycling. Let us now understand how a screening machine works. A screening machine has an inbuilt drive that induces vibration and a screen media that helps in particle separation. There is a deck which holds the screen media and the drive and is basically the mode of transport for the vibration. A simple example is a single deck screen with an inclined frame. This inclined frame is mounted on springs. When the vibration is generated from an unbalanced flywheel it results in a very erratic motion which is developed due to the rotation of the wheel. This type of screen will typically be used in smaller operations and rock quarries where sizing is not the key consideration. Freefall screening is based on the theory of free fall of the material through and over the Deck i.e. in this way no particle layer will build upon the screen deck. There are various physical factors that affect the screening process. For example, vibration, g-force, bed density, and material shape. Sticking and Plugging can be caused due to water attraction. Further, Electrostatic forces can also affect screening efficiency. A very dry material can also generate a charge that causes it to attract to the screen itself. 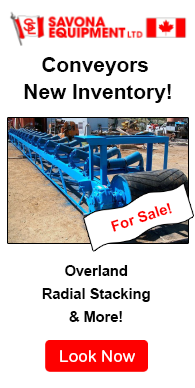 Scalping Screen: When a feed is mostly finer, this type of screen is used to remove a small amount of oversize without taking into account crushed product sizes. Sizing Screen (Dry and wet): When there is a need to produce material sizes that meet requirements in particular range of sizes, the sizing screens are used. They mostly operate at a high and constant rate of efficiency. Washing screens: These screens are built to facilitate water usage wherein water can be sprayed on the material. Usually, water is used to clean material and /or assist in the sizing as well. 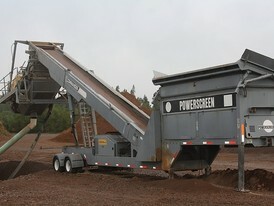 Rescreen Screen (Dry and wet): Often screened material still have contaminants. These screens are used to remove contaminants from already screened materials. 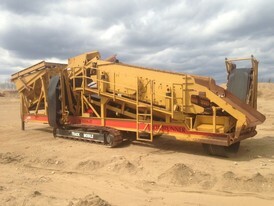 Horizontal screens: These screens vibrate back and forth facilitating removal of larger ores by this vibratory movement. These screens have a huck bolted construction and power are generated through timed shafts with eccentric counterweights. Ideal for wet washing or low head operations. Circular screens: These type of screens are also called circular-motion vibrating screens. They are commonly used to classify medium to coarse-grained bulk materials (5.0 mm to 100 mm) for screening. Circular vibrating screens operate using indirect excitation of the screen mesh. Because of unbalanced massed, there is a circular vibrating motion and that is how the screen frameworks. For a specific transport speed, the circular vibrating system may be tilted at different angles. However, the optimum angle has been 15° to 30° usually used in practice. Inclined screens: It's a single deck screen which is put on an inclined frame and uses gravity to help move material downwards and a circular stroke helps to classify the material for further sizing. The frame is mounted on springs. The vibrations are generated from an unbalanced flywheel. 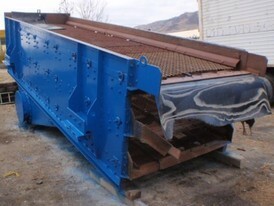 Inclined screens are commonly used for crushing rocks, sand , and gravel; recycling; ore processing; wet screening and for the chemical industry. Rotary screens: A common usage of rotary screens is the separation of solid pollution in wastewater. Rotary screens are equipped with a slot-tube, which are rods in axial directions of the tube. Owing to the gravitational force, waterfalls on the slots tube and passes through slots. The solid material that does not fit the slot is a residual which is on the exterior of the rotating slot tube and it is scrapped and falls down in a container. Finally, treated water flows out from the lower part of the rotary screen. A rotary screen is commonly used in food-processing industry such as meat-processing factories, slaughterhouses, dairy works, canning factories etc. Wash Plants In simple words, a Wash plant is defined as a plant where slimes are removed from relatively coarse ore by washing, tumbling, or scrubbing. Nowadays, Portable crushing & screening plants are commonly used for rock crushing in quarries and mines. They are more efficient in terms of time and resource since they can quickly move with ease around the job site by remote control features and can be moved from one location to another as well. With screeners, there are several other terms which are frequently used such as blinding, contamination, frequency, amplitude, and others which describe the basic characteristics of screening, and these features further define the overall process of dry or wet screening. As also mentioned earlier, the way a deck is vibrated differentiates screens. Different types of motion have their advantages and disadvantages. In addition, media types also have their different properties that lead to advantages and disadvantages. Finally, there are problems and challenges associated with screening. Screening efficiency is often affected by Screen tearing, contamination, blinding, and dampening. Leading manufacturers of screeners include McCloskey, Masaba, Kleemann, Nordberg, Sweco, Terex, Metso (Allis Chalmers), Sandvik, Telsmith, Deister, JOST , and Derrick. 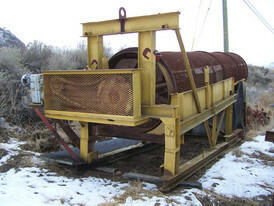 However, a thorough research of the screening plant which suits your process is essential before buying one. 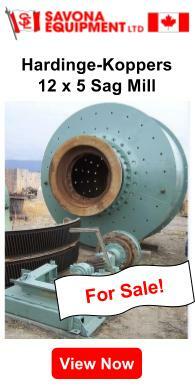 We will help you buy the most suitable trommel for your operation, contact us today.